Today the HFC R-404A is one of the most commonly used refrigerants in the United States and in the world. You can find it most commercial refrigerators/freezers, in vending and ice machines, in refrigerated transport, and in specific industrial applications. 404A was originally implemented as a replacement option for the now banned CFC R-502. R-502 was widely used throughout all of the applications we mentioned above until 1995/1996 when it was phased out entirely due to it’s Ozone Depletion Potential (ODP). While 404A has been around for decades it’s future may be short lived due to it’s high Global Warming Potential (GWP). In this post we are going to take an in-depth look at R-404A. In our first section we’ll cover all of the facts, then the pros/cons, points of note, and the history of R-404A. Price Point: Medium - $70-$160 a cylinder. 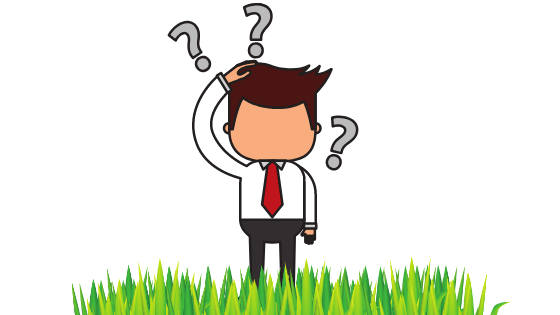 Regardless of what refrigerant you are looking at they all have their own pros and cons. There is no perfect refrigerant. There may never be. Ammonia for example is deemed one of the best refrigerants in the world… but it’s extremely toxic and can be deadly in high amounts. R-404A provided an immediate replacement product for both R-12, R-22 and R-502. This allowed the world to stop using Ozone depleting refrigerants. R-404A operated at comparable physical and thermodynamic properties that R-502 did which made transitioning to new systems or retrofitting older systems a much easier task. 404A is rated as an A1 from ASHRAE. That means that it is non-toxic and non-flammable. While this may not seem like a big deal for HFC refrigerants, this rating is becoming more and more important when it comes to looking for a more environmentally friendly replacement refrigerant. The biggest con with R-404A is it’s extremely high Global Warming Potential (GWP). It’s GWP rating is three-thousand nine-hundred and twenty. This number makes it one of the absolute highest GWP refrigerant that is widely used in the world today. In some applications 404A is not the most efficient. There are other refrigerants that can save five to ten percent efficiency. (R-134a for example.) The lost efficiency with 404A can translate into more energy and more money spent when compared to other refrigerants. Refer to our ‘R-404A Potential Replacements’ section for some of these more efficient refrigerants. R-404A began seeing usage in 1996 after the phase out of CFC R-502 due to it’s Ozone Depletion Potential. 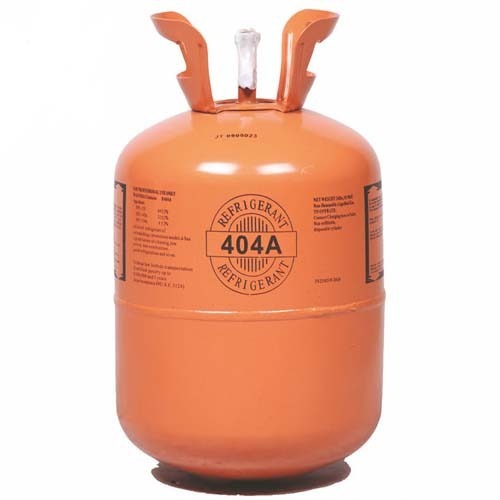 R-404A is a ternary refrigerant blend consisting of the HFC R-125 (forty-four percent), HFC R-143a (fifty-two percent), and HFC R-134a (four percent). R-404A is used across a variety of low and medium temperature applications including super market freezers/refrigerators, vending machines, ice machines, refrigerated transport, and industrial refrigerant systems. Starting in 1996, 404A was the primary refrigerant for the above mentioned applications for over twenty years. R-404A is non toxic and non flammable and has an A1 rating from ASHRAE. Note that if 404A is pressurized after being mixed with air the chance of flammability increases. You should never mix 404A with air under. R-404A is heavier then air and will displace oxygen in a room if a large enough quantity is leaked. This can be said for various types of refrigerants though and is not unique to 404A. When charging systems with R-404A the refrigerant must be in a liquid state. If done in a gaseous state you risk damaging the entire system. In some cases R-404A can replace R-22 systems when the proper retrofitting is done, but this may not make sense in the long run due to my next point. R-404A is being phased down and in some cases completely phased out due to it’s high Global Warming Potential and it’s detrimental effect on the climate. In many cases R-404A is the first HFC refrigerant targeted for phasing down HFCs due to it’s extremely high GWP of nearly four-thousand. Some refrigerant manufacturers and distributors have already announced they will no longer be making or selling R-404A. Along with the ban on new systems the European Union has also issued import and production limits on R-404A. Due to these production/import limits Europe has seen crazy prices come on R-404A. At some points in the past few years it rose over seven-hundred percent in one season. Prices in the United States have remained relatively stable the past year or so, but in 2017 there was a large increase due to a shortage of flurospar in China. 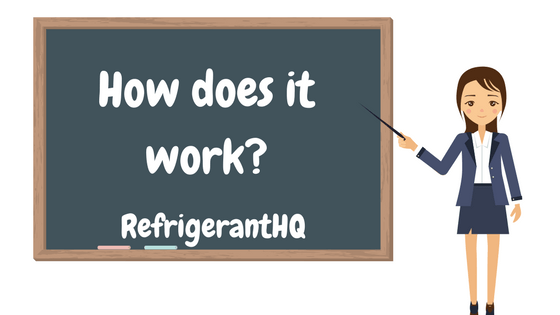 At the time the world switched over to R-404A there was little other choice and most business owners and contractors consolidated their refrigerators and freezers over to one refrigerant to simplify things. That is why you see 404A nearly everywhere in these types of applications. When we do completely phase out R-404A it will not be like it was in the 1990’s again. No folks, this time we are going to go about it smarter. (This is me being optimistic.) Instead of superseding every machines and application to a new specified refrigerant we will be looking at each application specifically an determining the best refrigerant for it’s needs. This is why we’ll see R-290 propane used in some 404A applications and an HFO refrigerant used in a different 404A application. When it’s all said and done we should see a diversified refrigerant market in place of the standard 404A that we see today. At this time it’s impossible to list every 404A alternative or option out there. Things are always changing and evolving. The ‘perfect’ replacement may be discovered one month from now. All that being said, let’s take a look at some of the possible R-404A replacements listed below. Just keep in mind that none of these are a ‘fix all’ solution. These refrigerants range from natural refrigerants, to HFOs, and the occasional HFC. To understand the history of R-404 we first have to travel back to the 1960’s. It was then that the CFC refrigerant R-502 was invented. R-502 was a blended refrigerant using HCFCs and CFCs. It was comprised of of R-22 (48.8%) and R-115 (51.2%). This new refrigerant R-502 offered a lower discharge temperature and improved capacity when compared to R-22. Once invented R-502’s usage exploded across low and medium temperature applications. Over the next thirty years R-502 was the dominant refrigerant for a variety of applications including super market refrigerators/freezers, industrial refrigeration, vending machines, and in refrigerated transport. For thirty-five years R-502 reigned supreme, but like all good things it had to come to an end. In 1995 and 1996 R-502 was phased out for all new machines. 502 was just another one of the many CFC and HCFC refrigerants that have been phased out over the past twenty to thirty years. These refrigerants were phased out due to the chlorine that they contained. When the refrigerant was vented or leaked it would move into the atmosphere where the chlorine would damage the Ozone Layer. While there wasn’t an official ‘hole’ in the Ozone there was a thinning of the layer above Antarctica. The Ozone layer protects us from radiation and a thinning of said layer can result in a whole host of problems including various cancers. Scientists noticed this thinning in the late 1970’s and early 1980’s. Once the seriousness of the problem was revealed world leaders got together in Montreal and signed a treaty that most all of us know by now, The Montreal Protocol. This treaty aimed at phasing down and eventually completely out Ozone damaging chemicals. This included insulation, pesticides, refrigerants, and many other applications. When R-502’s turn for phase down came in 1995 a new alternative refrigerant needed to be chosen. At this time the world turned towards HFC refrigerants. One of the very first phase outs was R-12 for automotive applications. It’s replacement was the HFC R-134a. It was a logical move to use R-404A as R-502’s replacement as 404A was an HFC and it partly blended from R-134a. Once R-404A was implemented in the 1990’s it was the standard bearer for the next thirty years. But now, just like R-502, it’s time has come. Today, as I write this article in 2019, R-404A is being phased down and in some cases completely out across the world. The European Union has import and production limits set on R-404A and have plans to completely phase it out over the next few years. This time though folks the phase out has nothing to do with the Ozone Layer. This time it has to deal what’s known as Global Warming Potential (GWP). GWP is a measurement of how much heat a greenhouse gas traps within the atmosphere. The higher the number the worse the product is for the environment. Like with every scale there has to be a zeroing measurement. In this case it is Carbon Dioxide (R-744). The GWP on R-744 is one. The GWP on R-404A is nearly four-thousand. That number alone is why the world is pushing to get rid of R-404A as fast we can. Out of all of the HFCs R-404A is one of the absolute highest when it comes to GWP. While the European Union has already begun taking steps of a complete phase out the United States is quite a bit behind. Originally, the Environmental Protection Agency issued a rule in 2015. This new rule was under the EPA’s SNAP and was titled, ‘Rule 20.’ This new rule aimed at phasing down HFCs across the country. They did this by deeming certain refrigerants would no longer be acceptable in specific applications. As an example, one of the stipulations was that R-134a would no longer be acceptable in 2021 model year vehicles. R-404A, along with R-134a, was one of the prime targets in these new regulations. Over the next few years the industry moved on expecting these changes laid out in Rule 20 to take effect. It was in the summer of 2017 that a surprise ruling by a federal judge overturned all of the EPA’s SNAP Rule 20. 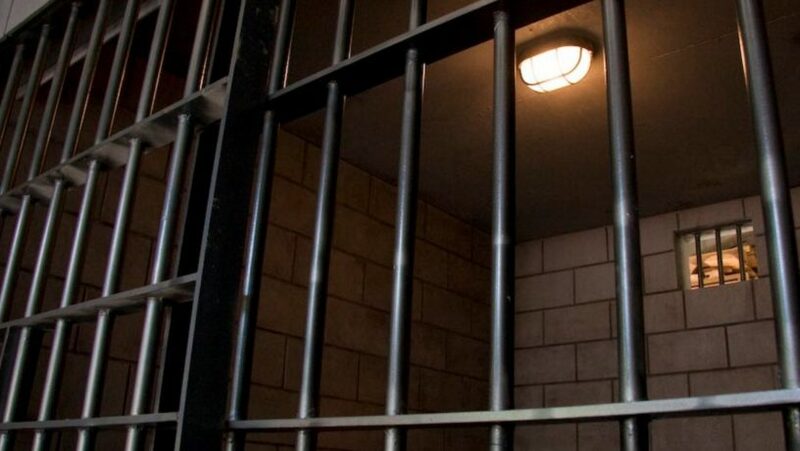 The judge ruled in favor of Mexichem and Arkema (Two refrigerant manufacturers). While other companies, such as Chemours and Honeywell, appealed the ruling they eventually got nowhere and the judge’s ruling stood. It went as far as going to the Supreme Court but the Supreme Court refused to hear the case. 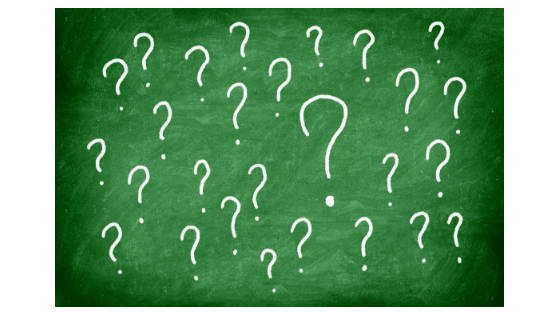 Now, as of 2019, there is no set phase down schedule of R-404A or other HFC refrigerants. The only bright spot is what’s known as the ‘United States Climate Alliance.’ This alliance formed after Trump pulled the US out of the Paris Climate Accord. Their goal is to have a gathering of states that will enforce their own climate policy. Regardless of the politics across the United States and the world we can all be assured of one thing: R-404A is going away. When exactly it goes away is a different story though. Within the United States I predict us having a patchwork of different laws and regulations across the various states. While this is disorganized and confusing it does have some positive effects as well. With the lack of a central federal policy on HFCs we have states taking matters into their own hands. If enough states get on board with these HFC phase down changes then air conditioning and refrigerator manufacturers will eventually throw in the towel on HFCs and began transitioning over to lesser GWP refrigerants. After all, it wouldn’t make sense to make a system that could only be sold in half of the country. Instead these companies will start manufacturing based on the states that have HFC phase down policies. This will allow them to still sell into all fifty states and prevent them from doing double work. As we mentioned in our potential replacements section, there is not yet a perfect R-404A replacement option. Instead, we are having a variety of refrigerants show up as replacements for specific R-404A applications. As an example, instead of 404A in vending machines we will start using propane or isobutane. But, these refrigerants will not work for refrigerated transport or in larger charged systems. Among these alternatives to 404A a war is brewing between natural refrigerants and HFO refrigerants. While HFOs have significantly lower GWP then HFC refrigerants they are still not perfect and still do have a GWP that is higher then the neutral carbon dioxide point. It is this reason why groups are pushing to skip HFOs and go with natural refrigerants entirely. At this time there is no saying what refrigerant will win the ‘war,’ but the predicted outcome I see is a good mix between the two. We’ll see all of the smaller to medium charged systems start using natural refrigerants and the larger systems still using fluorinated refrigerants such as HFCs and HFOs. There may come a time in the not too distant future that a ‘perfect’ 404A alternative is discovered. But, for now, we are all stuck with our patchwork of alternative refrigerants. If you haven’t run into some of these already it’ll only be a matter of time. Well folks, that about covers it for R-404A. I tried to cover absolutely everything that I could when it came to this refrigerant. If you find that I missed something or that if something is inaccurate please reach out to me and let me know. Over the nearly two-hundred years refrigerants have been around there have been a variety of types and classifications. In the very beginning in the eighteen-hundreds we started with the simplest, and cleanest, of refrigerants known as natural refrigerants. These natural refrigerants consisted of naturally occurring elements throughout our wold. These could be carbon dioxide, ammonia, air, water, or oxygen. Also, under this natural refrigerant umbrella were what’s known as hydrocarbon refrigerants. These were your propane, isobutane, ethane, methane, and many more. These refrigerants were the foundation of today’s modern day refrigerant classifications known as Chlorofluorocarbons (CFCs), Hydrochlorofluorocarbons (HCFCs), Hydrofluorocarbons (HFCs), and Hydrofluoroolefins (HFOs). 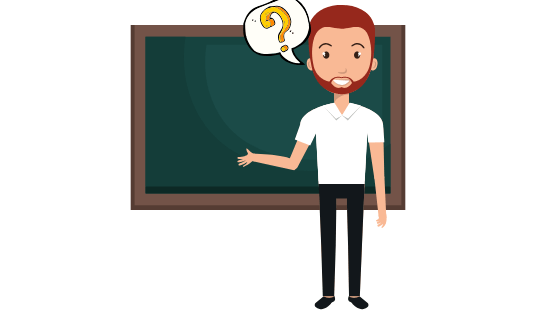 While most of our everyday refrigerants used today fall into one of the categories we mentioned above there are some outliers that simply don’t fall into the ‘standard’ classifications that we are used to today. In this article we’re going to take a brief look at some of these outliers and what refrigerants fall under them. For a more in-depth guide we will also be producing refrigerant fact sheets on each of these individual refrigerants. Halon refrigerants were one of the building blocks of modern day refrigerants we see today. Earlier I had mentioned that natural refrigerants along with hydrocarbons were the very first refrigerants used in the world. Well, the next step towards progress were halon refrigerants. Now, technically, all of the main refrigerant classifications that we use today such as CFCs, HCFCs, HFCs, and even HFOs can be considered halon refrigerants. But, these classifications are compounds containing one or more kind of halogen. A standard halogen refrigerant is not compounded. The basic halon chemicals were used primarily as a fire extinguishing agent. In recent years halon is no longer manufactured either due to the toxicity that they can present or due to the detrimental effects on the Ozone. I had to do some research on this category. There wasn’t much to be said about actual refrigerants. These types of chemicals have a wide range of applications from insulation, fire extinguishing, to pesticides, and all the way to wood varnish. The one piece of the puzzle I did find here is that R-20 Chloroform was a necessary building block to create R-22. Yes, when chloroform is mixed with hydrogen fluoride we get chlorodifluoromethane, also known as the HCFC R-22. With this knowledge, we can say that HCC refrigerants were an essential in modern day air conditioning and refrigeration. That being said, there was and still is a lot of concern with HCCs. Depending on the type of chemical within this family the toxicity can be deadly. There are recorded birth defects and other abnormalities. Remember hearing about DDT pesticides? Well, they came from HCCs. While I couldn’t find a practical refrigerant application for HCCs I wanted to still list them below. From what I have found they were mainly used elsewhere and when they were used as refrigerants it was as a blend rather then a primary application. Within these categories exists R-10 or Carbon Tetrachloride. This was used as a refrigerant in the early eighteen-hundreds and was a precursor to R-11 and R-12. Along with that other refrigerants within this category have been used in blends to create other refrigerants. As a few examples, R-116 Hexafluoroethane is used to create refrigerants R-508A and R-508B. R-218 Octafluoropropane is used to create R-413A. Again, I couldn’t find an active record of these being used as refrigerants. Instead,they were used in blends to create other refrigerants that we have all seen before. A lot of you may be familiar with Olefin refrigerants already through the most popular classification of hydrofluoroolefins (HFOs). The most common HFO you’ll see today is the R-1234yf which is used in automotive applications. While HFOs may sound new and different if you look at things from a chemistry perspective HFOs are not that different then the HFCs we use today. Just like their HFC counterparts HFOs contain Hydrogen, Fluorine, and Carbon. The one real difference between these two refrigerants is that HFOs are unsaturated. In other words they have at least one double bond of carbon. These double bonded molecules are known as Olefins or Alkenes. This is where the name Hydrofluroolefins comes from. HFOs may have been around for a while there was never a demand for them. HFCs were the favored refrigerant when CFCs and HCFCs went away in the 1990’s. It was in the early 2000’s that things began to change to favor HFOs. While you may have all heard of HFOs before chances are you haven’t heard of the other classifications of Hydrochlorofluoroolefin (HCFO), Chlorofluoroolefin (CFO), and Perfluoroolefin (PFO). At this time these newer Olefin classifications are rarely used, but that may change in the future. For the most part folks the refrigerants mentioned in this article have either been retired due to environmental or toxicity concerns. The only exception to this rule that I am aware of are the Olefins classification. These refrigerants are still fairly new to the world and have a relatively minimal impact on the environment. Even today there are so many homeowners and companies hanging onto their old R-22 systems. Sometimes it takes a heated negotiation just to convince a homeowner to switch from R-22 over to R-410A. Now imagine trying to convince a billion dollar company to switch all of their systems away from R-22. You think it would be an easier discussion. You would think that the company would want to get the obsolete units out of rotation and start using a more climate friendly solution. Well folks, this wasn’t the case with Trident Seafoods out of Seattle, Washington. 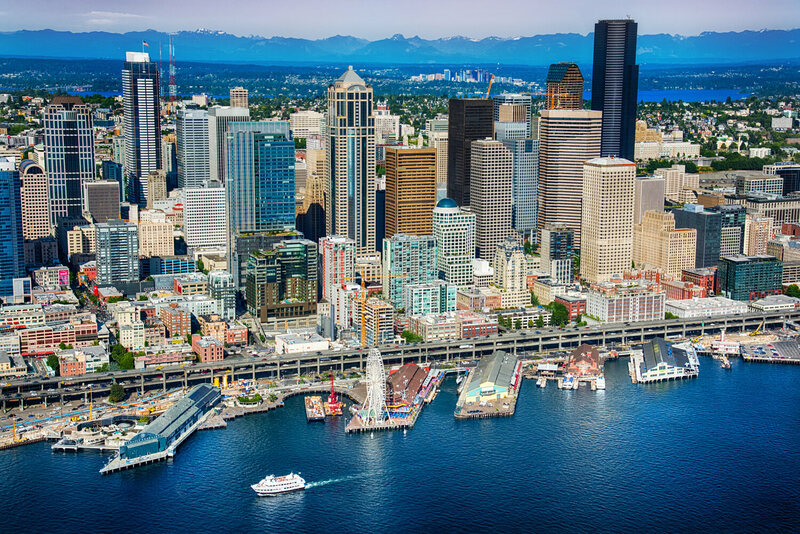 Trident is one of the largest seafood processing companies in the northwest and Alaska. Between the years 2009 through 2016 Trident violated the Environmental Protection Agency’s leak restrictions on Ozone depleting refrigerants. Leaks in their R-22 systems went untreated for years. They also failed to document services and repairs on two-hundred and eighty-nine separate occasions. On top of that they used uncertified technicians and inadequate recovery tooling. Because of their lack of maintenance Trident was directly responsible for leaking over two-hundred thousand pounds of R-22 into the atmosphere. These leaks occurred on their various fishing and transport ships. It was announced today that the Environmental Protection Agency and Trident Seafoods had come to a preliminary agreement. Trident would pay a nine-hundred thousand dollar fine for violating the Clean Air Act. They would also pay for twenty-three million dollars worth of retrofits to prevent these incidents from occurring again. Quite a lot of expense and fines all because this company didn’t follow proper regulations or that they didn’t want to invest in new refrigerant systems. As a result of this ruling Trident will be retiring or retrofitting twenty-three r-22 systems across fourteen ships. These retrofits will remove one-hundred thousand pounds of r-22. The removal of all of this R-22 is the equivalent of one-hundred and forty-three thousand passenger cars being removed from the roads. 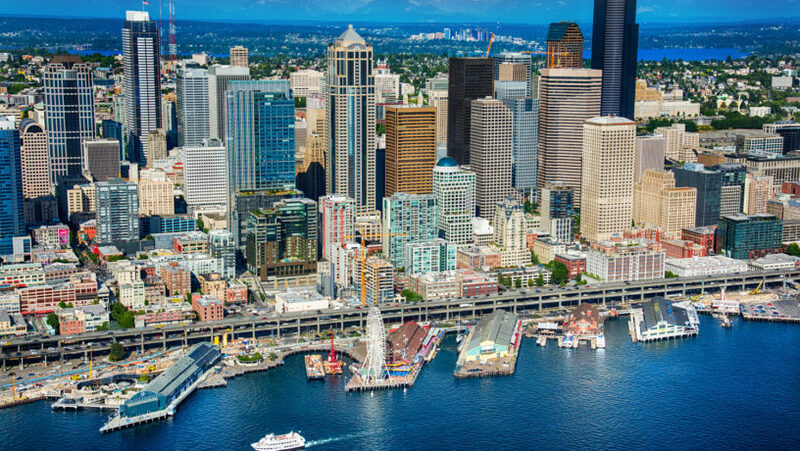 Along with the retrofitting Trident Seafoods will conduct routine leak inspections and fix any leaks in a timely manner in accordance to EPA standards. They will also have a third party auditor to review their leak inspection procedures. This way we don’t have a repeat. EPA regulations state that owners or operators of industrial refrigerant equipment that contains over fifty pounds of ozone depleting refrigerants have their leaks repaired within thirty days. Along with that, these leak repairs have to be documented in full. Lastly, only 608 certified technicians are able to open and work on these systems. While this settlement is still subject to public comment and court approval it is easy to see the type of punishment companies can receive if they fail to comply with the Clean Air Act and the EPA standards.I’m actually surprised the fine and repercussions wasn’t higher. The amount of refrigerant that was leaked is staggering. Rather Trident thinks it or not, they got off easy. The New Year has only just begun and already we are seeing refrigerant price changes coming to the market. Earlier today one of my contacts within the refrigerant industry reached out to me to share price increases that are coming down the pipeline. While so far these changes are from one or two manufacturers, I have seen from experience that other manufacturers typically follow suit. These price increases or decreases have reasoning behind them such as raw materials costing more, a shortage on materials or refrigerant, unexpected increased demand, logistics/freight issues, or a whole host of other possible issues. The point though is that if one manufacturer is experiencing a price increase then the others will usually be close behind them. Now when I do articles like these that go into upcoming pricing changes I make sure to leave things anonymous to not only the source of the information but also to the company that has announced the pricing increases. It is not my place to share and publish internal company documents. By doing it this way I can protect myself and my business as well as still provide you, the reader, the much needed information on upcoming price changes. Ok folks, without further ado let’s dive in and take a look at the changes that were announced. Yesterday, a mailer was sent out by a leading refrigerant manufacturer. This mailer stated that as of next week, January 8th, prices would be going up six percent on HFC and HCFC refrigerants. The increase targets all of the most commonly used refrigerants today including R-22, R-134a, R-410A, R-404A, R-507A, R-407A, and R-407C. While six percent doesn’t sound like a lot it really depends on the refrigerant that you are looking at. R-134a right now is trending between eighty to ninety dollars for a thirty pound cylinder. Six percent of that would be around five dollars more a cylinder. Not too much of an increase. However, if we take that same logic and look at R-22’s price which is hovering around four-hundred to four-hundred and fifty a thirty pound cylinder we can begin to see a larger impact. Lets take the four-hundred dollar price as an example. With that base price we’re looking at around twenty-four dollars more per thirty pound cylinder. Now we can begin to see a slight impact. One more thing folks on these increases. The announced price increase on HFCs have only been from one manufacturer. The R-22 price increase though has now come from two different and distinct refrigerant manufacturers. Just like I stated above, most manufacturers are in tandem with each other and have their ears to the ground watching the trends. The chances are R-22 is going to go up around six percent across all manufacturers. 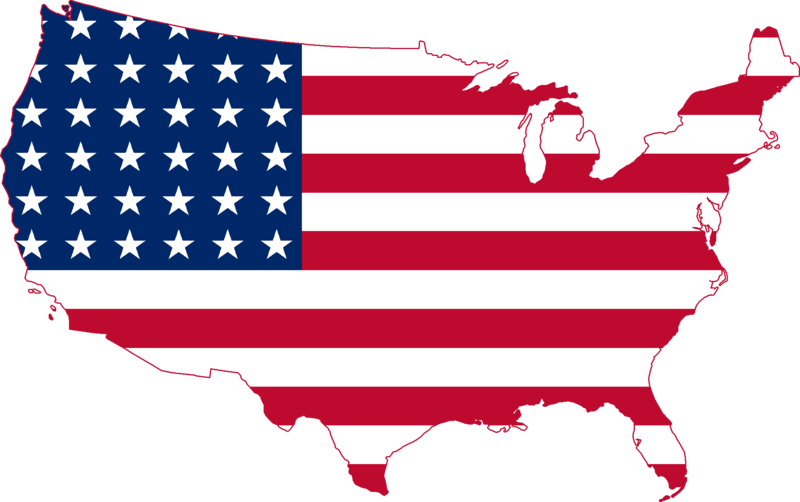 2019 is a big year for R-22 as this is the LAST year that any quantity can be physically produced or imported into the United States. When January 1st, 2020 hits that’s the end. Fin. No more. The only way to acquire R-22 then is either purchasing from distributors who have stockpiles on hand or purchasing form a certified refrigerant reclaimer. Because of this upcoming rule change on R-22 the market in 2019 is unpredictable. No one knows for sure what’s going to happen. Could this six percent increase be the start of a snowball effect? Will the price keep going up and up this year as more and more people buy up everything they can? There was a time in 2017 where R-22 cylinders hit seven-hundred dollars a cylinder. Will we repeat this year? Or, is this six percent increase an anomaly or correction and the price will stabilize for the upcoming spring season? Refrigerant pricing is unpredictable. Sure, I have written many articles trying to predict what will happen in the next year… and sometimes I’m right and other times I am way off. One thing I am certain of though is that these winter months are the absolute best time to buy. Prices are deflated and the demand is quite low. As spring edges closer the prices will begin to rise. I remember back in the day when I was in charge of purchasing R-134a by the trailerload. We would always wait until the first week of February to place our orders. We’d do our negotiations in the middle/end of January and then send our purchase orders over that first week in February. Most of the time this ensured that we had a competitive price throughout the entire season and we didn’t have to scramble in the hot months to try and find a source of R-134a. If you are interested in purchasing refrigerant please don’t hesitate to reach out to me by filling out the contact information below or by visiting our bulk refrigerants page. Please remember that we only sell in pallet and trailerload quantities. A pallet typically contains around forty cylinders. As most of you know we here at RefrigerantHQ are taking the time to put together what’s known as our fact and information sheets on each specific refrigerant that is out there. So far we have touched on quite a few HFC and even HFO refrigerants. But are good friends from days past, CFCs, have been neglected. 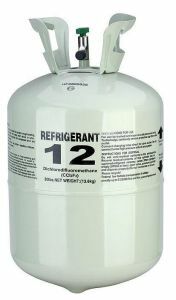 I would be amiss if we forgot one of the most influential refrigerants out there, R-12. There may be some debate to this statement, but I believe that R-12 was and is the mother of all refrigerants. It was the foundation refrigerant and gave us the building blocks to other refrigerants that we see used every day around us. But, what is R-12? What is the history behind this influential refrigerant? 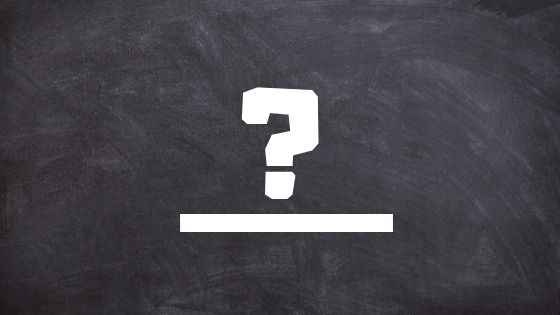 What is the significance of the Freon brand name? In this article we will answer these questions and more. 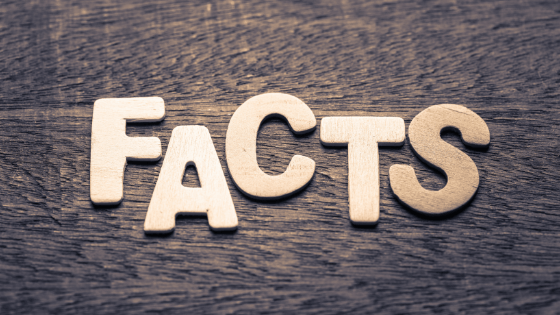 Like with our previous fact sheets we will start this out with a table that goes over all of the upfront facts about R-12 Freon refrigerant. Let’s dive in and take a look! Application: Very Wide Range of Applications - Can't Cover Them All! Lubricant Required: Mineral Oil, also known as Alkyl Benzene. I mentioned at the beginning of this article that R-12 is the ‘mother’ of all refrigerants. This is because R-12 was the very first mainstream refrigerant that saw usage and development around the world. Before the arrival of R-12 there was a mish-mash of natural refrigerants being used with hit and miss results. Either the refrigerant being used was toxic like R-717 (Ammonia), the refrigerant operated at too high of a pressure like R-744 (Carbon Dioxide), the refrigerant had a high flammability rating like R-290 (Propane), or the refrigerant was just too expensive for widespread usage. The invention of R-12 provided an answer to the price question as well as the safety question. Because of this, it’s usage exploded. I won’t get into all of the details here, but will save the more in-depth discussion about R-12’s history in our next section. First and foremost, you should know that R-12 has been completely phased out in the United States and across the world. This refrigerant was phased out due to it’s Ozone Depletion Potential or ODP. The short version of what happened here is that when R-12 was vented or released into the atmosphere it would not break down as it made it’s way up to the stratosphere. Instead, the Chlorine in the chemical composition would stay intact and eventually cause damage to what’s known as the Ozone layer. This layer acts as a shield from ultraviolet rays from the sun. If this layer was gone or severely weakened then the radiation would begin to come through and cases of skin cancer and other diseases would begin to surface much more frequently. That’s the tamest of the scenarios of a damaged Ozone. R-12 along with other CFC and HCFC refrigerants were banned to prevent any further damage to the Ozone and to allow the Ozone layer to heal. I mentioned this earlier but R-12 was the first refrigerant that was actually safe to use. It can be traced back to the 1930’s and back then there just wasn’t a ‘good’ refrigerant to use. Sure, there were some refrigerant and air conditioning applications that could be found, but they were rare and they had a high risk of failure. In some cases this risk of failure was also a risk to your safety. R-12 came around and provided consumers and businesses with a safe and cheaper alternative refrigerant. R-12 has a relatively low boiling point at only -29.8° Celsius or -21.64° Fahrenheit. If you compare this to some of the other refrigerants out there such as R-22 (-40.7° C), R-744 (-78.0° C), or R-410A (-48.5° C). You can begin to see the significant difference here between R-12’s boiling point and other refrigerants. This low boiling point was also a key factor in the varying applications that R-12 was used for. Due to the wide range of applications, the low boiling point, the low price, and the safety features R-12 exploded in growth across the globe. The end of R-12’s reign began in the 1980’s and went into the early 1990’s. I mentioned the Ozone layer problem above. Well, all of this started in the early 1980’s and came to it’s conclusion in the early 1990’s when the last step of phasing out R-12 began. This last step was in automotive applications. If you were to have bought a car in 1991 or 1992 you would have most likely had R-12 refrigerant. However, if you were to purchase a vehicle in 1994 or 1995 then your vehicle would have been using the new HFC R-134a refrigerant. Today, in 2019 R-12 is very difficult to find. If you do find it the chances are it is a rusted out cylinder that may have been damaged. Any R-12 cylinders left in circulation today are products that someone squirreled away twenty or thirty years ago. Now, if the refrigerant was stored properly in a climate controlled warehouse without exposure to moisture then it most likely still has virgin pure R-12 refrigerant in it. However, if it has been exposed or damaged then the quality may be compromised. Most of the time these cylinders can be found on EBay.com, but make sure that you are section 608 certified with the EPA before you purchase. You will have to provide your certification number. Along with the increased rarity of R-12 you will also notice that price has gone through the roof. A thirty pound virgin cylinder in good condition may be closer to one-thousand dollars. Some of the damaged cylinders we mentioned above may be around five-hundred to six-hundred dollars. Be sure to pay attention when purchasing some of these as in most cases the cylinder has been opened and some of it has already been used. So, you may end up only getting twenty or twenty-five pounds out of your thirty pound cylinder. The good news is that today very little people actually need R-12 Freon. Most of the applications have been retired and scrapped. The only exception that I know of in today’s world (2019) is automotive restorers. My father as an example restores classic cars as a hobby. Most of the models he works on are from 1950’s and air conditioning wasn’t as prevalent then. 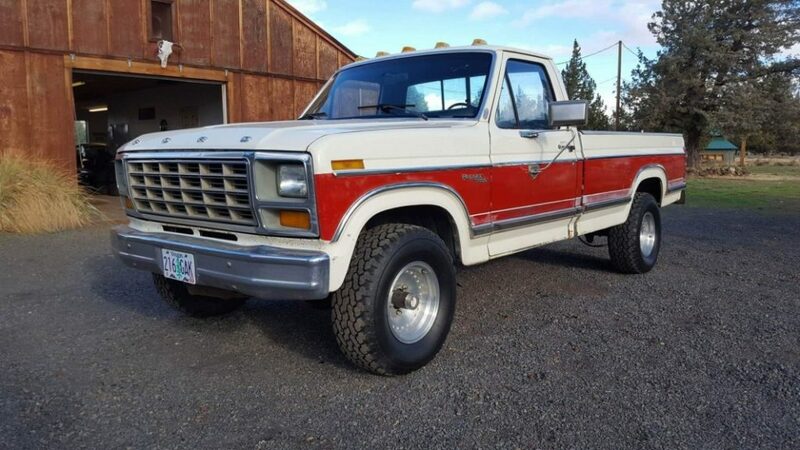 But, let’s pretend you’re working on my dream restoration car, a 1981 F-150. In this case you would have to make a decision on rather to use the original air conditioning system and get your hands on a few cans of R-12. Or, you could install or retrofit over to an R-134a system. Besides these exceptions, I don’t see another need for R-12 being used in the world today. The last point that I want to make is that in recent years (2018-2019) we have had reports of R-11 and other CFC refrigerants being found again in the atmosphere. This is odd as all of these were phased out twenty years ago. How are they being found again? In one specific instance the R-11 traces were able to be traced to a province in China. A company in China was actively producing R-11 foam and refrigerants for use throughout the country and for exports. The Chinese Government denied any affiliation with this company and have since gone after the company. In the early 1900’s the world was looking for a solution for refrigeration and air conditioning. There had been numerous experiments and trials on differing refrigerants ranging from Ammonia, Carbon Dioxide, Propane, Sulfur Dioxide, and Methyl Chloride. Each one of these refrigerants were able to provide cooling and refrigeration but they all had potential downsides. It could have been safety concerns through toxicity or flammability, high pressure, or an inflated price point. There needed to be a more viable refrigerant introduced into the marketplace. It was in the 1930’s that a partnership was formed between two companies: General Motors and DuPont. This partnership organized by Charles Kettering of General Motors was geared towards solving this problem. Over the new few years Thomas Midgley Jr, along with a few other team members, pushed forward with the invention of ChloroFluroCarbons (CFCs) and HydroChloroFluroCarbons (HCFCs). Out of these inventions two primary refrigerants came: R-12 and R-22. The introduction of R-12 showed the world that a refrigerant was possible that was safe, economical, and easily adapted to various applications. In just a few decades R-12 and R-22 were found in nearly every home and business across the world. The explosive growth of refrigerant and air conditioning continued to propel forwards for decades and decades. All of this came to a head in the 1980’s when a team of scientists based out of California realized that the Chlorine found in these ever popular refrigerants were causing damage to the Ozone layer. What would happen is a machine would either develop a leak, or the refrigerant would be vented, or the machine would be scrapped entirely and refrigerant would leak out. This leaked refrigerant would work it’s way up into the atmosphere and stagnate in the Stratosphere. There the Chlorine found in R-12 would degrade and harm the Ozone layer. All of this got so bad over the decades of CFC and HCFC use that a thinning of the Ozone layer began to form over the Arctic. The scientists noticing this sounded the alarm and the world’s governments took action by creating the Montreal Protocol. In today’s world R-12 is a very rare occurrence. Most machines and systems that were using it have since been retired. Like I mentioned in a previous section, the only use cases that I know of in the year 2019 are those folks who are restoring classic automobiles. Even in these cases though I believe most people are going the retrofit route and changing their systems over to R-134a. The cost of R-12 is just too expensive and we all know that a fully restored classic car is never entirely original. There are always aftermarket parts that find their way in. While R-12 Freon refrigerant is a thing of the past we should always remember where we came from. 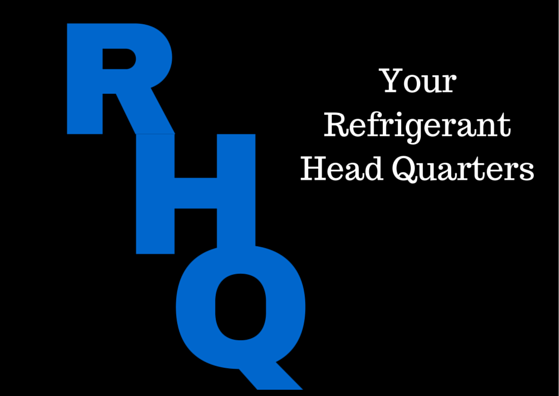 In today’s world HFC refrigerants are being phased out just like their CFC and HCFC cousins. The refrigerant industry is constantly evolving and changing. In another twenty years the world may be using something completely different then we are today. The thing to keep in mind though is that we approach 2030 we should take the time and honor the R-12 invention from a one-hundred years ago that got us to this point. Hello all. I hope everyone had a great Christmas and a good upcoming New Years. I took most of the last week off of work and working on RefrigerantHQ. Sometimes it is nice to take a step back and spend some relaxing time with the family. During this time I was thinking about what I wanted to accomplish in 2019 for RefrigerantHQ. 2018 was a great year for the website and we saw a lot of growth. In 2017 we ended the year at three-hundred and seventy-thousand views. While there are still a few days left in 2018 I can safely say that we will end this year at five-hundred and forty-thousand views. That is nearly fifty percent year over year growth. Not a bad number if you ask me! Breaking these same numbers down per day we find that we are averaging around fifteen-hundred views per day for the 2018 year. This was again a nearly fifty percent year over year increase. Obviously, our best month this year was in July at just over one-hundred thousand visitors and our worst month this year is this month at around twenty-thousand views. We also saw significant growth in our mailing list subscribers. We started 2018 at just over six-hundred subscribers and we are now over sixteen-hundred. We aim to have over twenty-five hundred by the end of 2019. Along with the growth we mentioned above RefrigerantHQ has also begun to be noticed by those within the industry. Towards the beginning of the year we were invited to a refrigerant trade show put on by the SHECCO company. While we appreciated the invitation we were not yet in the position to began attending trade shows. Please remember that RefrigerantHQ is a hobby of mine and I still have my full-time employment to balance as well as my wife and kids. There are times where it can be tough and I have yet to find the time to attend some of these trade shows. However, as the years progress and growth continues you may begin to see a RefrigerantHQ presence at industry trade events. Throughout the year we have received story leads and topic ideas from various folks including some of the larger names within the industry such as Chemours and Honeywell. If you have any topic ideas feel free to reach out to me and let me know. The more the better! This summer we had a lunch meeting with ITW Sexton, also known as Sexton Cans. Sexton, based out of Decatur, Alabama, is the company that is behind the refrigerant cans that you find in automotive stores and dealership shelves. Their products are DOT and ISO certified and they stand behind their quality. Lastly, earlier this month we met with some folks from Harp International. Harp is a global distributor of refrigerants based out of the United Kingdom. During their visit to Americas they booked an extra flight in Kansas City to meet me for lunch. We had a few beers in downtown Kansas City and talked about the wonderful topic of refrigerants for a few hours. They were good contacts to establish and I look forward to meeting with them in the future. I occasionally travel to Brussels for my day job, so we might just have to arrange a visit! The future of RefrigerantHQ is growth, of course. But, what kind of growth? I’ve been thinking about this for a while as I plan out how I want to grow the website. This time last year I thought adding community forums would be a good way to grow and also offer another feature for my readers. After piloting this for around six months I found that it just wasn’t worth it. The forums became overrun with spam and fake messages and then towards the end of July the forums allowed hackers to infiltrate my site. The site was down for a week while I made frantic repairs. Looking towards next year one goal that I have in mind is to create more and more of our Refrigerant Fact Sheets. These posts focus on providing anything and everything to do with a specific refrigerant. 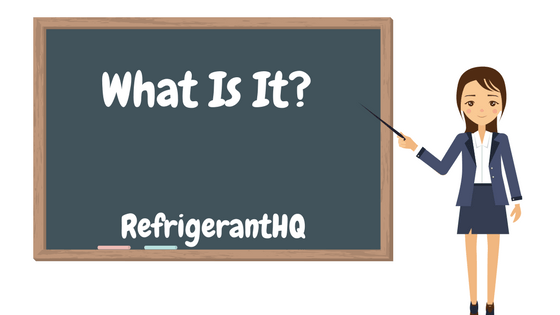 The goal here is to have a one stop place to answer any question on a refrigerant. Eventually, we will have a fact sheet for every popular refrigerant out there… and maybe for every single refrigerant. Along with the fact sheets we will also be keeping up with the latest refrigerant news here in the United States. This includes regulation changes, pricing changes, supply and demand, tariffs, and everything else. We want to be the place you go to for the latest news and changes within the industry. If over the next year you know of a story or article that should be written please do not hesitate to reach out to me either via e-mail, Twitter, or Facebook. Chances are we will review the story and write it up for our subscribers. Also, if you feel like something is missing from the website or there is something that you are always looking for online and can never find please let me know. I’m always looking for that next big idea within the industry. Next year our predicted view count should surpass seven-hundred thousand. My optimistic goal is to hit over eight-hundred but the seven-hundred number is more then reasonable and should be easily accomplished. This traffic will be a mix from all corners of the industry including manufacturers, distributors, contractors, technicians, and even end-users. I’ve mentioned this earlier and in previous posts, but my goal with RefrigerantHQ is to turn it into a full fledged refrigerant magazine and for it to turn into a full time income source. 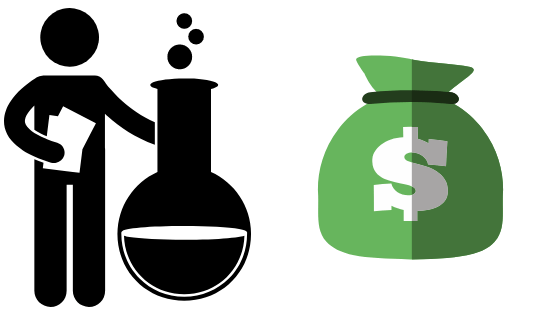 Today there are multiple revenue streams that are helping me reach this goal. I have considered offering advertising on my website as well from various sponsors throughout the industry. While I have had a few inquiries I have yet to sign with a company. At this point I am uncertain if this is the business model I want to move forward with. Time will tell. If any of you have other ideas for potential revenue streams I am open to suggestions. Thanks for reading and I hope you and your family have a great New Year! The phase down and phase out of HFC refrigerants across the European Union was done to help the environment. These commonly used HFC refrigerants have an extremely high Global Warming Potential (GWP) and are now being replaced with lower GWP alternatives such as HFO’s like 1234yf and by natural refrigerants such as R-744. In order to ensure countries and companies complied with the phase down strict regulations and rules were set in place. Production was capped. Imports were capped. Companies and contractors were incentivized to use more climate friendly refrigerants. While all of this had the positive effects of reducing Global Warming it came with unintended consequences. All of these new regulations and production limits caused the supply of HFC refrigerant to dwindle across the European Union. And just like anything else in the world, when the supply shrinks and the demand is still there then the price rises. That is exactly what happened in Europe. Last year certain refrigerants saw multiple hundred percent increases in price. The most prominent example is R-404A. Imagine paying five-hundred percent more for R-404A. What would you do? How would your customers react? Some people saw these high prices and shortages of HFCs as just a growing pain. After all, this was only temporary. The new refrigerants would began to take over and dominate the market in a few years time. They just had to get through this transition and then they would be fine. Others however, saw a different approach. They saw profit. They saw dollar signs dancing in front of them as the prices of these HFC refrigerants kept rising and rising. Over the past few years there has been an explosion of refrigerant crime across the European Countries. 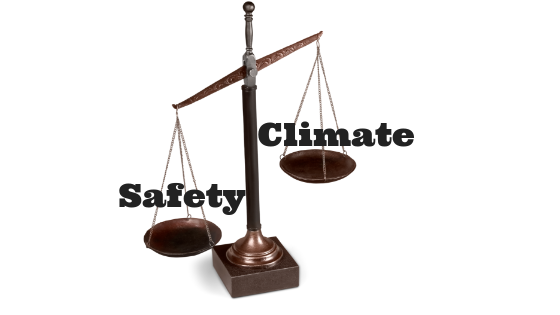 From what I have read there are three main types of crime being perpetrated on refrigerants. It was reported this week that thieves targeted a German refrigerant manufacturer of R-134a. This wasn’t a small operation stealing a few cylinders here and there. No, these guys stole one-thousand cylinders of R-134a worth an estimated value of nearly seven-hundred thousand dollars. This was a well organized operation that had the time and effort to arrange the stealing, loading, and shipping of one-thousand cylinders of refrigerant. Let’s think about that for a moment. Most refrigerant cylinders come forty to a pallet. So, that is twenty-five pallets of refrigerant stolen. Typically, you can fit twenty pallets on to a truck. These guys were so greedy that they somehow crammed an additional five pallets in there. This isn’t the only report of R-134a being stolen either folks. In July other refrigerant manufacturers were hit across Germany. In one example over eight-hundred cylinders were stolen. In other cases there have been multiple cylinders stolen. Five cylinders here, sixteen here, ten there. A lot of the refrigerant manufacturers in Germany are hit over and over again. Refrigerant is now seen as a commodity in Europe. The reason for all this is what we mentioned above, price. The price on R-134a has increased over eight times what it was in Europe last year. Again, let’s do some math. Let’s call R-134a price today at ninety dollars a cylinder. Now, times that number by eight. Seven-hundred and twenty dollars a cylinder. That is just unbelievable. These huge price increases are directly due to the MAC Directive that organized the phase down of R-134a and replaced it with 1234yf or R-744. The bad news is that there are still so many cars on the road today that take R-134a and they aren’t going away anytime soon. The need for R-134a will be with us for at least another ten years. If the price continues to remain high then we are going to continue seeing these robberies occur. The good news is that here in America we haven’t had such a significant shortage and at this time R-134a does not have a set phase out date. While there are cars today taking 1234yf it is not a mandatory switch at this point. We still have time, and to be honest, I don’t see it getting to this level over here. 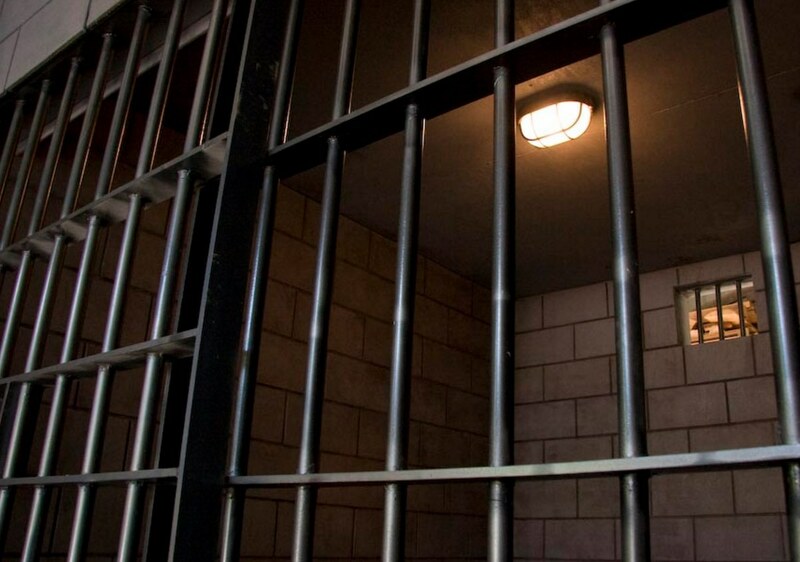 Now, most of the time, when people commit crimes they don’t think it through all the way. It’s the same way with these refrigerant thieves. While many of them try to unload their cheap product onto an unwitting buyer, others take a different route. They opt for putting their stolen merchandise online for all of the world to see. Yes, that’s right. A lot of these guys put their products on sites like E-Bay and Craigslist. There was an example the other day in Italy where an auto parts retailer was raided by the Italian Police due to them selling R-134a without the proper documentation and certification. He was just selling the cylinders on E-bay for a quick buck. Who knows if the product was stolen or not. Regardless, he broke the law by not obtaining the proper documentation when selling to his customers. Europe is not kidding around with these kind of sales. This isn’t just isolated to out friends across the sea. The same problem exists here in America. You can go to Ebay.com today and search for R-22 cylinders. You’ll find tons of matches and I’m willing to bet that not all of them are going to ask you for your 608 certification number. Again, highly illegal. I will say that after looking into a few of the top sellers of R-22 on Ebay there is a mention of providing a your 608 EPA cert number, or also giving you the option to fill out an intent to resale form. Doing it this way is perfectly legal, but as I said I KNOW there are some out there selling R-22, or even R-134a/R-410A without asking for a EPA license. You might have to dig a bit more, but they will be there. Heck, they may even have the cheapest price. While E-bay is a big problem it is not the worst offender. No, that prize goes to Craigslist. Craigslist may not have the volume that Ebay has but it comes with a whole host of other problems. With Ebay you provide the money to the seller through the Ebay platform. There is a paper trail. You can trace back who you bought from and they can trace back who they sold to. If someone gets audited there is at least that trail that can be relied upon. Craigslist has none of that. Most of the Craigslist sales are done in person and in cash. There is very little to trace back, if anything. Most of the time it’s just a simple swap in a parking lot and then it’s over. I’m willing to bet that sellers aren’t stopping the sale if the buyer doesn’t have the proper certification. While we haven’t had much of a problem of illegal online sales here in America I fear that it has increased this year. This is mainly in part due to the new EPA refrigerant purchase restrictions on popular HFC refrigerants such as R-134a, R-404A, and R-410A. People who were able to purchase cylinders of HFC refrigerants less then twelve months ago now find that they have to be certified. I can still find numerous sellers on Amazon.com selling HFCs without licensing required. In one example of 410A I see no mention anywhere of providing a 608 license certification number. This is now illegal. While many people may not know this, ignorance will not save you. As the world begins to move away from HFC refrigerants we are now beginning to see the smugglers moving away from R-22 and towards R-134a. I had mentioned earlier that R-134a’s price had gone up nearly eight times in Europe. This led to thefts of various manufacturers. Well, it has also led to increased smuggling from China. In some cases the product is marketed as R-134a but it is being shipped in disposable cylinders instead of the required reusable ones that we are all familiar with. Anything to save a bit of money and increase that margin. The European Union is on the lookout for these smugglers and we here in America should be as well. In 2018 I would say that the prospects of smuggling into the Untied States have gone way down mainly due to the overturning of the EPA’s proposed HFC phase down and also due to the falling price of R-22. Since R-22 is hovering in the three-hundred dollar range a cylinder this year it may just not make sense to go through the risk of smuggling today. If prices begin to creep back up though, be on the look out. If you do see a price on refrigerants that seems to good to be true then be wary as you may be purchasing stolen or illegally imported product. This was an interesting article to write as I never thought I would see organized crime on refrigerants. But, if there is a high enough profit opportunity then there are always going to be those bad apples that take the chance and break the law. While we are not having the extent of problems that Europe is having with illegal refrigerants it very well may come our way in the future as we move closer towards phasing out HFC refrigerants. The future is looking very bright for those pursuing a career in the HVAC/R field as technicians, installers and electromagnetic engineers. 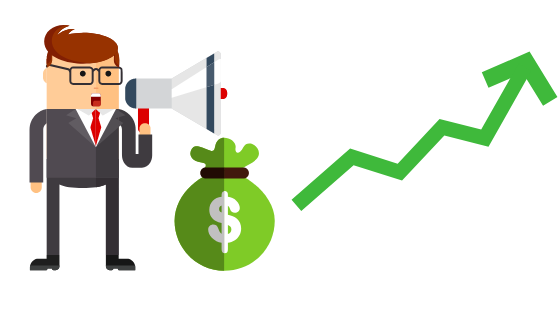 The Bureau of Labor Statistics, estimates industry growth of 15 percent through 2026. By all accounts, it appears jobs will be there for well-trained graduates of HVAC/R training programs. However, the numbers are not all so rosy when it comes to gender diversity in the mechanical trades workforce. In fact, women only make up an estimated 1.2 percent of the industry workforce and only around seven percent of HVAC installation and repair companies are owned by women. By comparison, women are spending around the same amount or more on schooling for careers with a lower starting salary. For example, 93 percent of dental assistants are women and earn at least $10,000 less per year than HVAC technicians. There’s simply no excuse for the industry to be around 98 percent dominated by men. That’s why more trade schools and industry professionals are working to bring more women into the field. Increasing gender diversity in the field is a key goal for schools like RSI, The Refrigeration School in Phoenix, Arizona. The Refrigeration School, and others like it throughout the country, are offering scholarships for women interested in the skilled trades and launching promotions campaigns to make more women aware of opportunities in the skilled trades. Career stability and higher earning potential than women-dominated industries are only the beginning. Women pursuing a career in HVAC can expect a faster-track to the job market and more affordable schooling. Hands-on and career focused: Educational programs provide hands-on, career focused training unlike traditional four-year institutions. 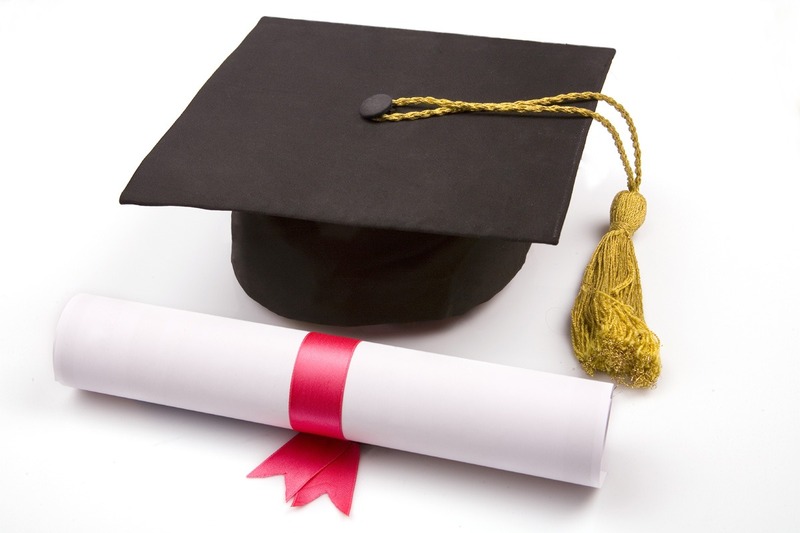 Earning a diploma or certificate to become an HVAC/R technician typically takes between six months to one year to complete. Growing job market: The need for technicians is growing across the country. The rate of growth is classified by the BLS as “much faster than average.” This means HVAC technicians can expect plenty of job openings, especially in the Southwest and warmer climates. Affordable education: As noted in the resource below, four years at a public university costs about $112,000. A comparable education at a private college can run as much as $236,000! Trade school, on the other hand can be completed for around $16,600. Entering a male-dominate field can have its challenges, but many women are finding success and enjoyment in the field. It’s time for more women to break into this rewarding field. From entry-level HVAC technicians to the corporate level, there is a huge need for female leadership. Industry leaders say the reason women represent such a small portion of the workforce is because the industry needs to do a better job of reaching out and highlighting the opportunities available. There’s lots of potential and opportunity for women looking to enter the heating, ventilating, air conditioning and refrigeration field. They will play a crucial role in building the industry, bringing new ideas and increasing gender diversity in an overwhelmingly male-dominate profession. Check out the infographic below as well provided to us by the RSI, The Refrigeration School.